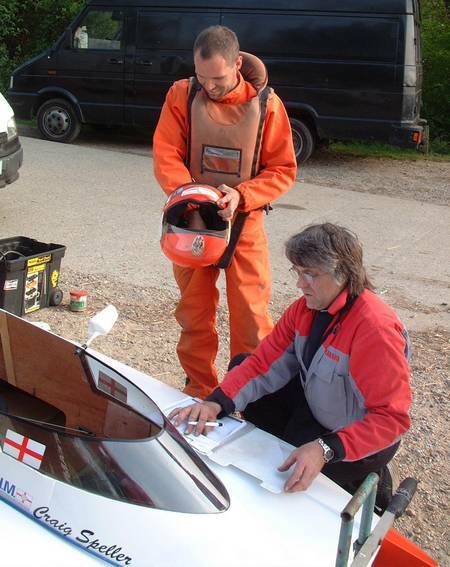 Craig Speller looks on as his new hydroplane ’21’ is measured by an LOBMBC official. 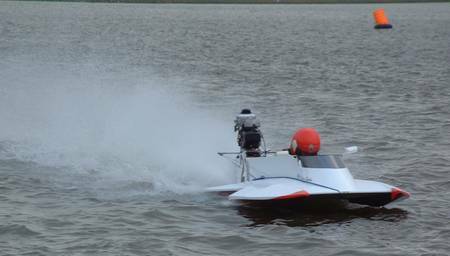 This blog starts off part way through a story, with the new 21 built by Newsons Boatbuilders specifically for the 2007 World Hydroplane Championship OSY400 to be held in Oulton Broad, Lowestoft, United Kingdom July 14/15. Craig has won four OSY400 World Championships and this year will be going to make it Five!! Hydroplane racing is the most exciting maritime sport to participate in or to watch. The Oulton Broad course is outstanding with terraced spectator banking that gives a view of the whole course and where the hydroplanes streak along the crowd line at more than 70 mph and only ten feet from the safety barriers!!! 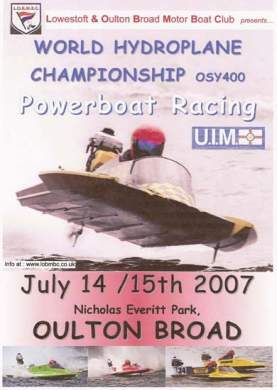 By a happy accident of history, Oulton Broad permits power boat racing and is the only part of the Broads National Park where there is no speed restriction on race days. LOBMBC is a club that traces its history back to 1904 and holds hydroplane racing on Oulton Broad every Thursday through the season. During the coming weeks, this weblog will retell the story of Craig’s involvement in hydroplane racing and then carry forward with more news as it breaks. Its going to be quite a story.